Can take Photo, video and Sound recording, and the photos & video file will directly stored in your Android mobile phone, the whole process of record check, convenient observation and follow-up analysis. There's also a turning wheel used for adjust the brightness of six LED lights so that work in some area without enough light. With a MICRo to USB line, It can also be used for computers. and tractors industries, petroleum drilling industries, constructions and so on. Scan the QR code on the Manual to install APP, or from CD install APP ,or download link to install APP ,then an icon appears on mobile desktop, click on the icon, the product is available to use. 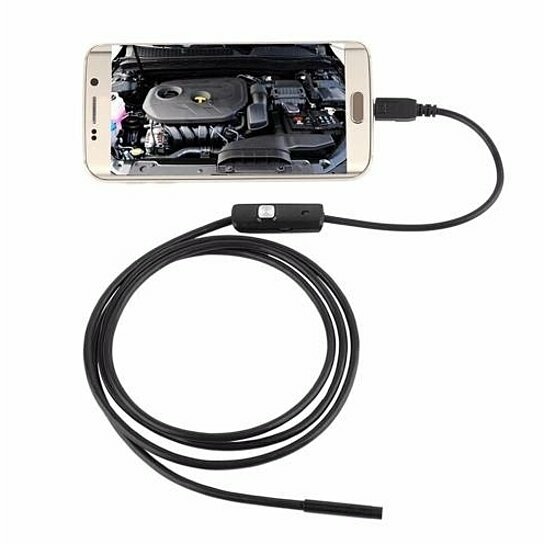 It's very easy to operate this android endoscope, just download an App and inserted the endoscope in your device, the App will automatic recognition it, start to use now !